The Island of the Gods boasts an extraordinary variety of gorgeous coastlines and stunning sunset vistas. 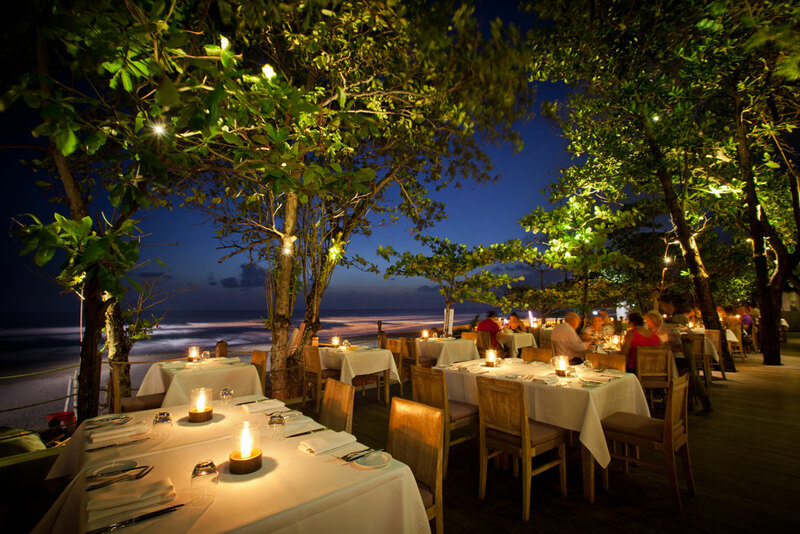 What better way to enjoy them than to dine at some of the most exclusive exquisite beachfront restaurants in Bali? The island is a perfect retreat for couples, and watching the sun set below the waves as you tuck into the fabulous Balinese cuisine is sure to make for an unforgettable experience. If you’re looking for mouth-wateringly fresh seafood, tasty cocktails and sandy feet, be sure to visit some of the most beautiful beach restaurants Bali has to offer. The grounds of La Laguna are like something out of a fairy tale – a Spanish inspired boho-chic gipsy beach club on the waterfront. On entering, you walk through a courtyard of genuine gipsy caravans, with the opportunity for Tarot readings if your visit is between 17:00 and 21:00. One of the many beachfront restaurants in Bali perfect for shooting the sunset, with a beautiful view of the ocean. La Laguna boasts quiet surroundings and a cosy atmosphere for an evening meal – the perfect vibe for intimate dining. Extraordinary decor, cobbled paths and vintage multi-coloured furniture make for a mystical al-fresco dining experience, topped off by exotic cocktails and beautiful views. Located on the pristine Kelan beach, Oceana Restaurant and Bar features Asian-Mediterranean fusion and stunning views. The menu boasts a variety of fresh and appetizing seafood which are delicately prepared and presented. Also of note are the speciality coffees and a wide range of tasty desserts. For a truly authentic Balinese experience, catch the live fire dance performance at either 6:30 pm or 7:15 pm! Popular for its tuna, lobster and seafood BBQ – and of the sensational view of the sun setting across the horizon – the dazzling seafood feasts at Oceana Bali make this restaurant a must-visit for anyone in the area. 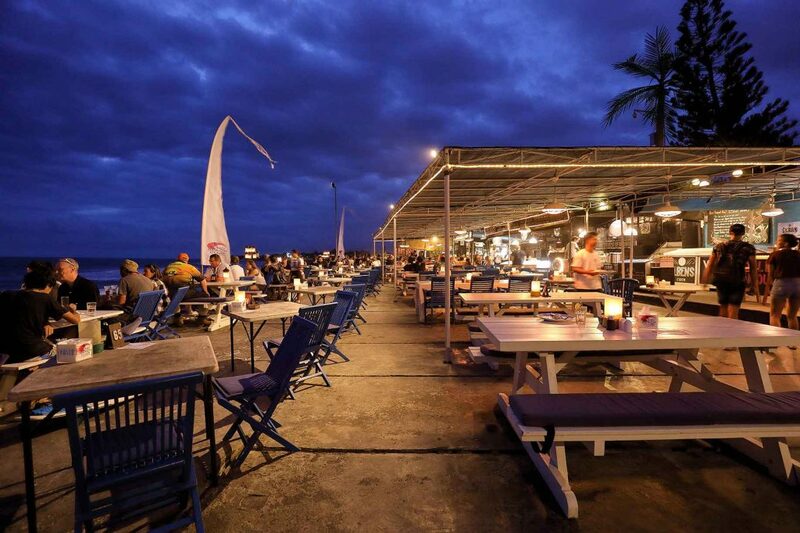 What’s more, as one of the newer beachfront restaurants in Bali, it remains relatively undiscovered. Enjoy the tranquillity whilst it lasts! Overlooking Legian Beach, Zanzibar Beach House is the perfect place to enjoy a delicious breakfast, lunch or dinner. Conveniently located for a bite to eat after a long day at the beach, visitors can choose between the spacious (but popular!) outdoor terrace and the upstairs lounge – which features beautiful vistas of the Indian Ocean. The perfect Italian restaurant for romantic meals, Zanzibar Beach House offers authentic and mouth-watering pizzas and pastas – but of course there is a range of local cuisine as well! Visit during sundown to take advantage of the free-flow finger food buffet, washed down with a cold beer or delicious cocktail. 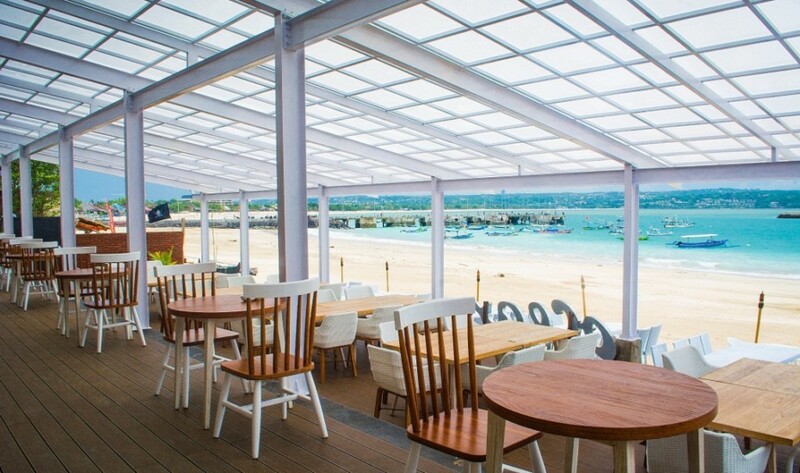 Delicious food and stunning views make this one of the finest beach restaurants in Bali. 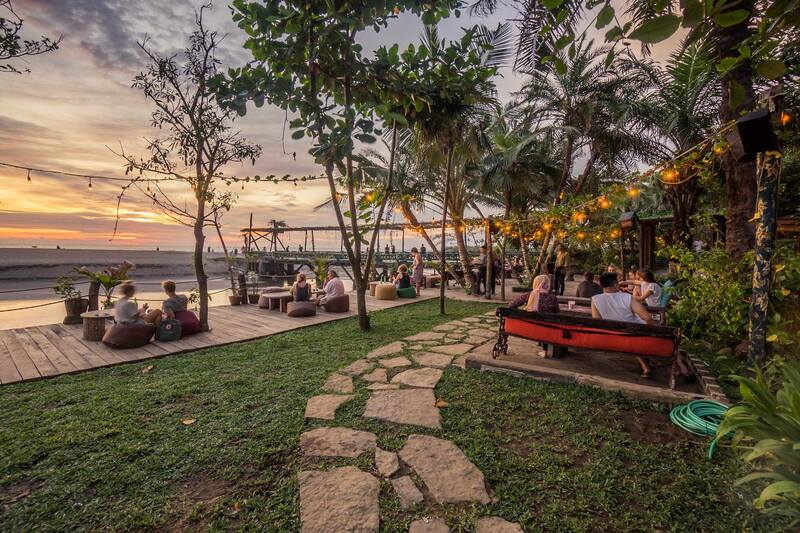 For travellers in search of an authentic Indonesian experience, Barefoot Beach Bar is one of the most unique beachfront restaurants in Bali. Why? It’s entirely built and run by a local community of fishermen. A super-friendly hidden gem, you can guarantee that the fish at Barefoot Beach Bar will be among the freshest you are likely to dine on during your time away. Light-years away from the clutches of the sprawling tourism industry, you will also find traditional Balinese dishes at this local restaurant. Worth visiting for the amicable local entrepreneurs alone, it is of course mere meters from the sea – the perfect place to watch the waves roll up as you tuck in! Bold yet chi, Chez Gado Gado started out thirty years or so ago as a nightclub but has since become one of the finest restaurants with a view Bali has to offer. The fresh seafood, friendly service and candlelit sunset views will not disappoint! The perfect ambience for a romantic meal, Chez Gado Gado has a well-deserved reputation for tasty local dishes. The menu is primarily Pan-Mediterranean with hints of European influence, and vegetarians are well catered for. 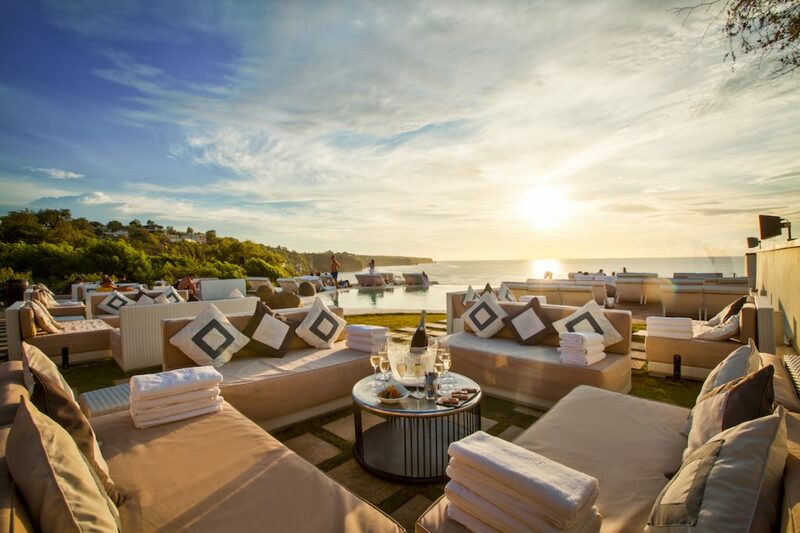 Passionate staff from all over the island will ensure your stay is one to remember, and for wine lovers a Chilean sommelier is on hand – making for an exotic and delectable experience to remember. 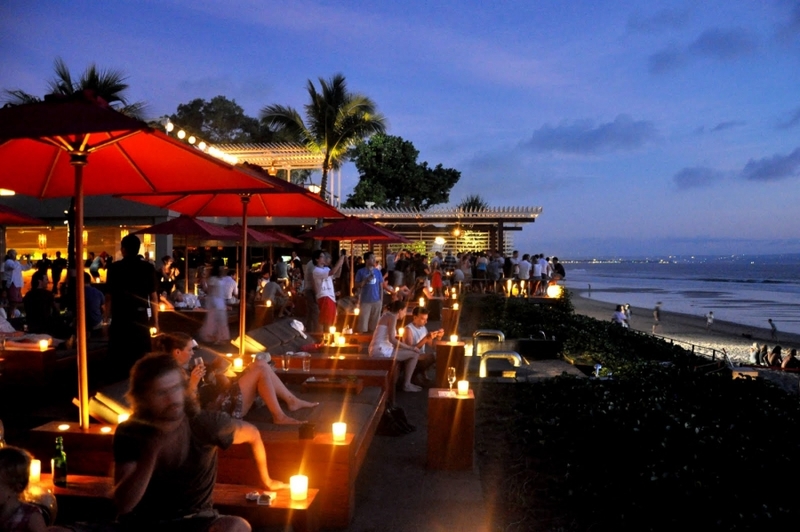 Echo Beach Club is one of the most talked about beachfront restaurants in Bali, with good reason. A wide range of reasonably priced cocktails and an incredible seafood BBQ are the headliners at this simply decorated beachfront venue. Slightly raised from the beach, this is the perfect place to enjoy the fabulous vista with a cold pina colada in hand – total relaxation! A fabulous range of fresh seafood (among which the tuna steak and barbecued lobster are particularly notable) make this a unique sunset dining experience. Arrive around 5 pm in order to secure front row seats for the unparalleled sunset view – you won’t regret it! 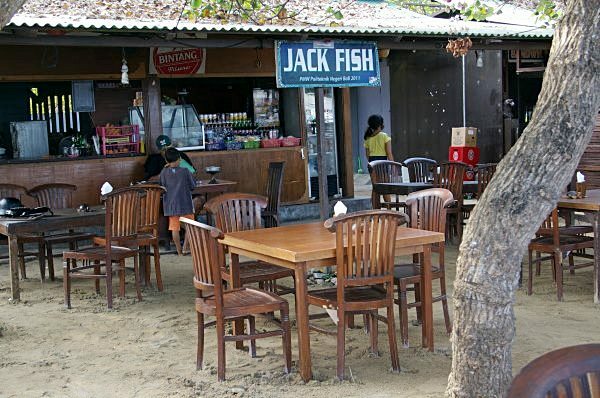 For those looking to dine as close to the waves as possible, Jack Fish offers great value for money. When it comes to finding seafood at beachfront restaurants in Bali, the fresher the better – and the fish here is as fresh and well-cooked as it comes. The star dish is Mahi-Mahi, simply grilled and superbly tasty – perfect with a cold beer. The menu is a little limited (on account of being a smaller venue) but if you are after quality, not quantity, this undiscovered family-run gem is the place for you. Not many of the beach restaurants Bali has to offer feature 180-degree views of the ocean, but at El Kabron Spanish Restaurant & Cliff Club you can expect exactly that. Featuring a selection of gorgeous Spanish dishes, the signature paella is the must try at this classy restaurant. A few pitchers of Sangria are of course the only way to wash it all down. El Kabron boasts an iconic infinity pool and live acoustic music for a perfect evening vibe – a stunning place to enjoy views of the dramatic sunset. Attentive staff and elegant decor make this one of the most luxurious restaurants with a view Bali has on offer. 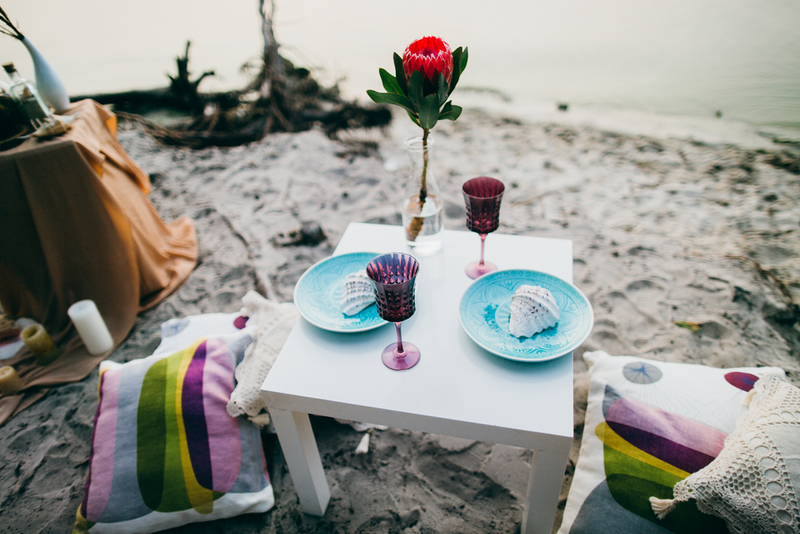 If dining within a few meters of the ocean ticks your boxes, why not spend your whole holiday there? Check out the most luxurious beachfront holiday villas Bali has to offer!